The Hausmann Industries Portable Single Mirror is a high quality reflected surface designed with a full view, distortion-free glass mirror that features a safety backing that meets American National Standards Institute (ANSI) Standards. Dependable Construction. 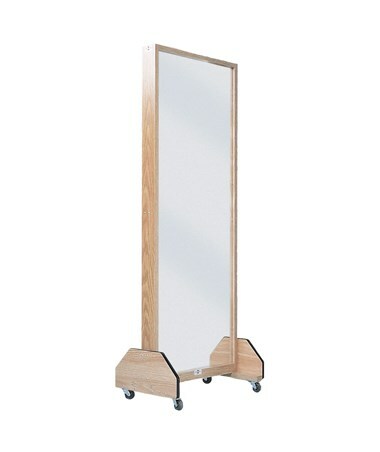 The Portable Single Mirror is made with an all oak laminate frame and base on the front and back of the mirror. With this protective finish, the Portable Single Mirror is designed for enhanced durability and remarkable appearance. Its height provides the user a full body image. Mounted on 2" swivel casters, the Portable Single Mirror can easily and quickly be moved around the facility. Because of this, it is an optimal choice for use in physical therapy, exercise or rehab facilities where hassle-free mobility and small space requirement is needed. 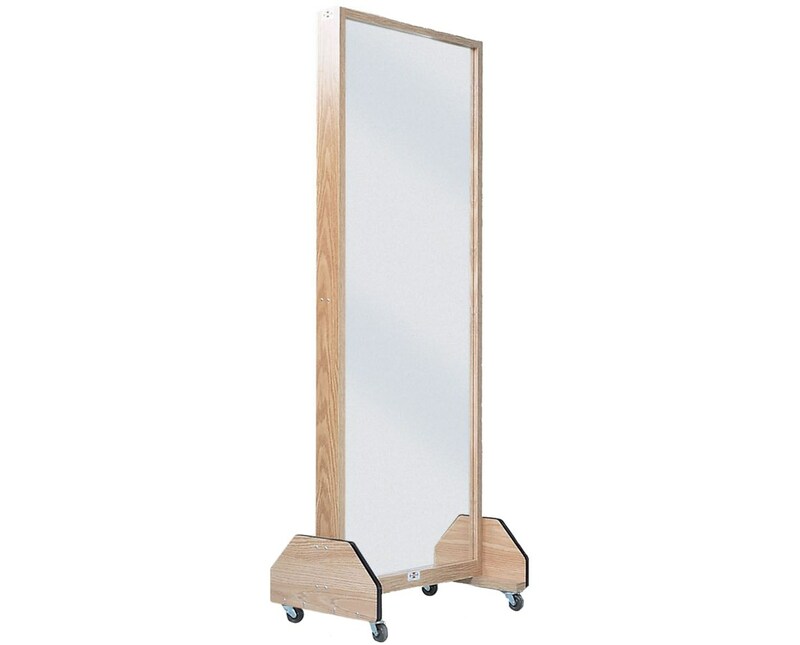 The Hausmann Industries Portable Single Mirror comes in a size of 24" W x 18" D x 70" H.